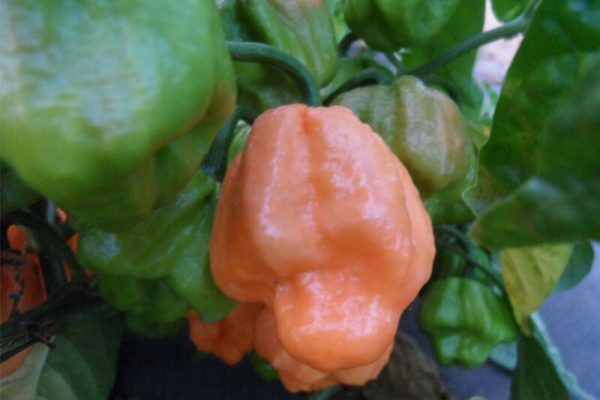 This light orange/peach colored beauty comes from the Bahamas Islands in the Caribbean sea. 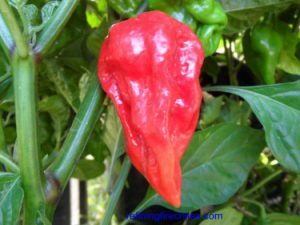 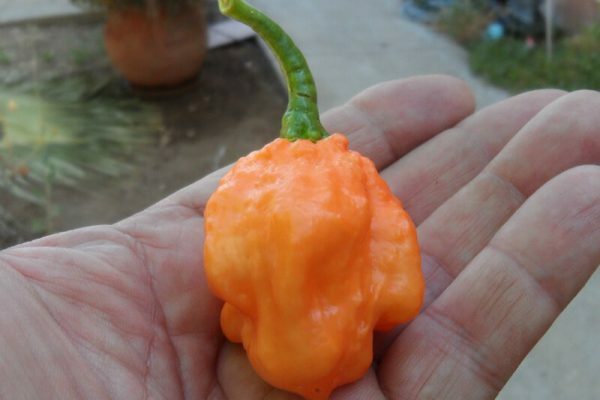 A delicious pepper that’s extremely hot. 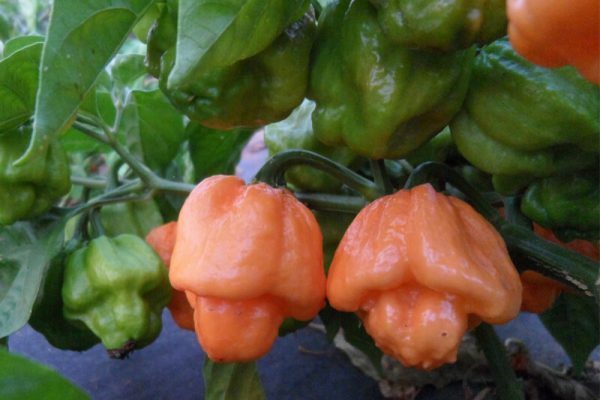 Like other habanero types it tends to have a fruity taste once you get past the burn. 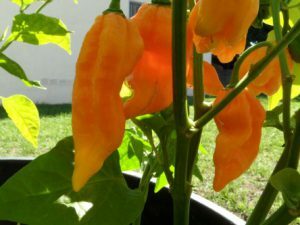 It even sometimes will grow a little scorpion tail. 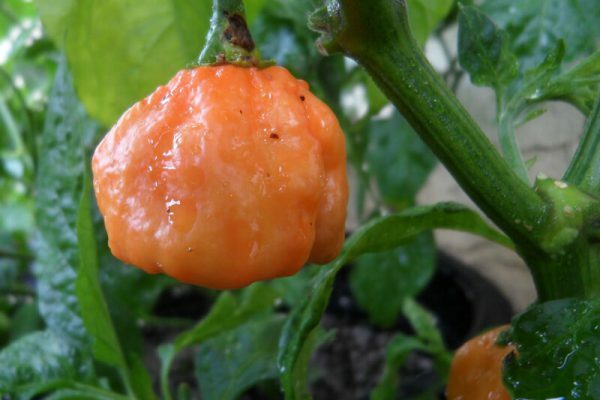 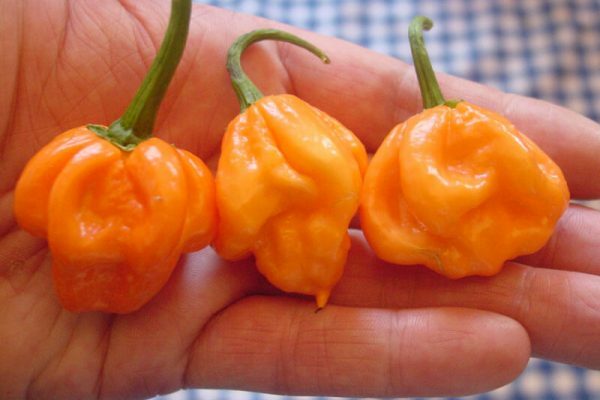 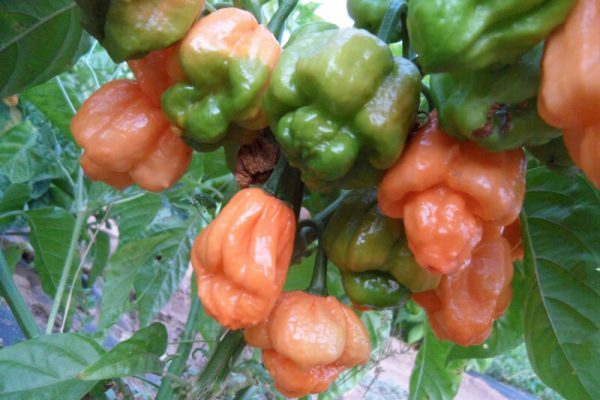 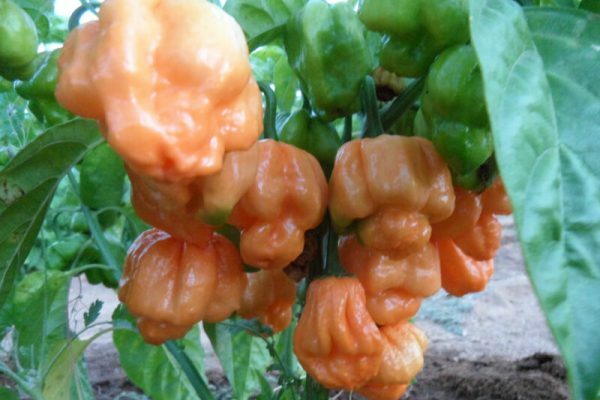 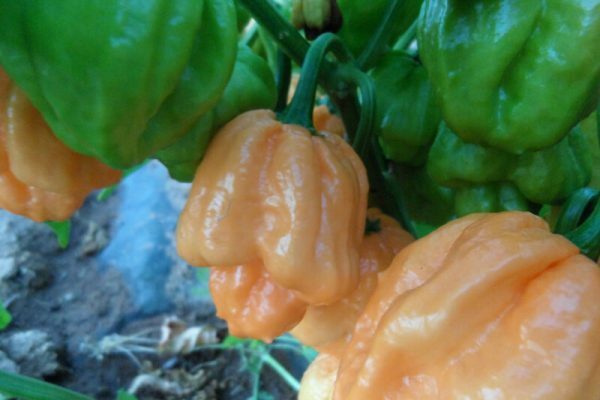 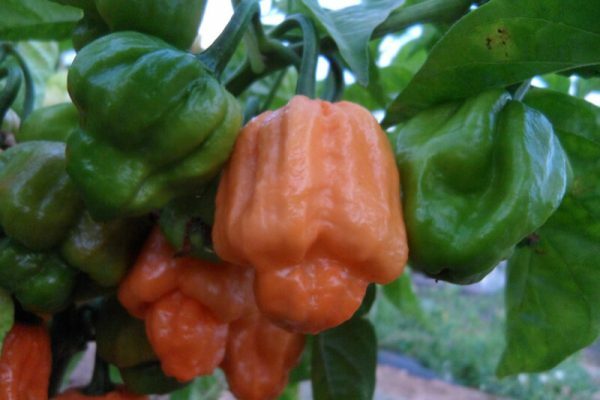 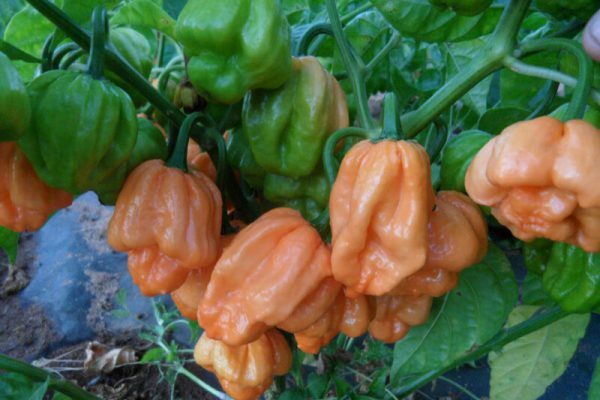 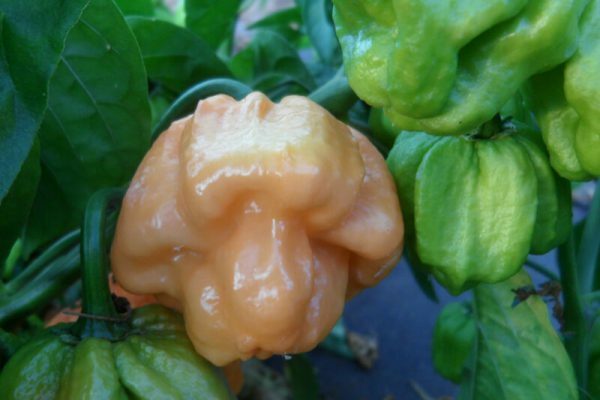 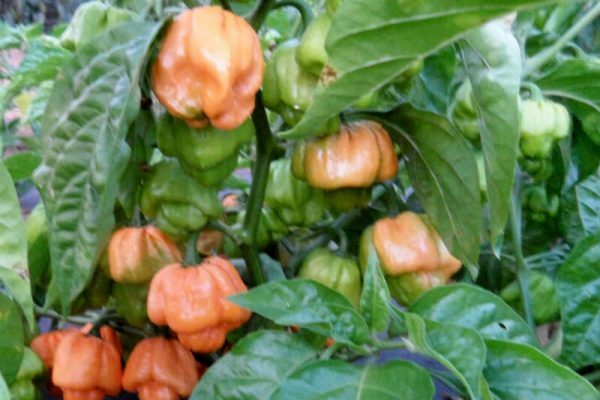 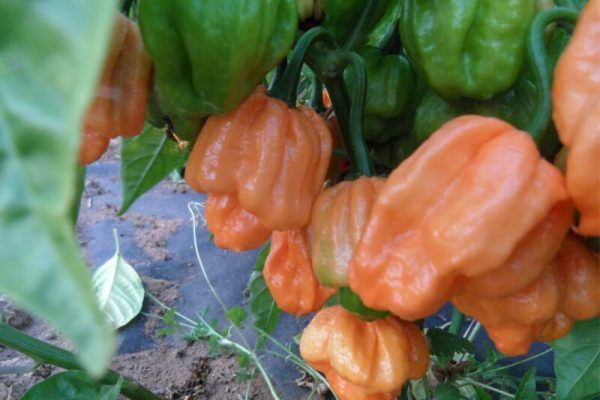 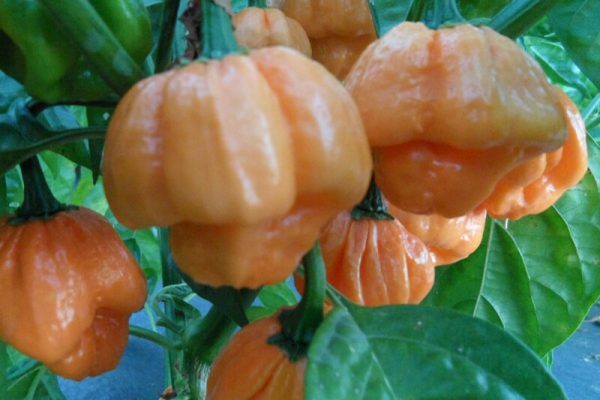 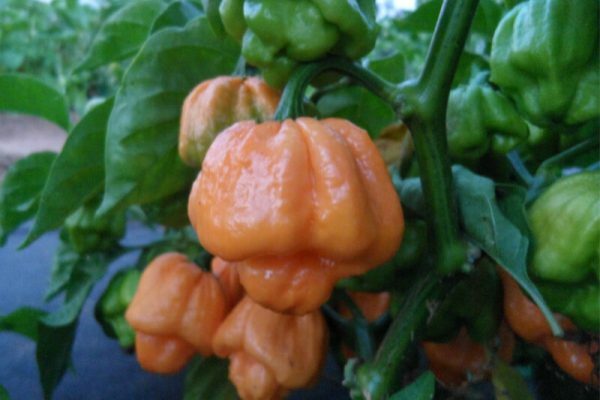 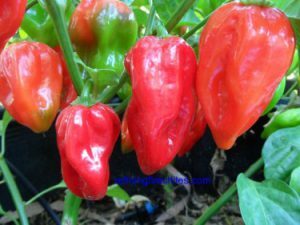 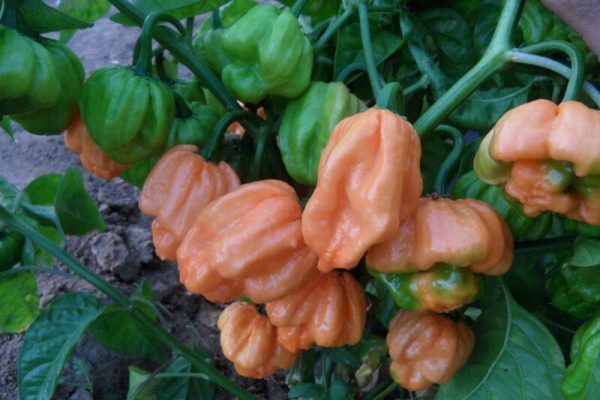 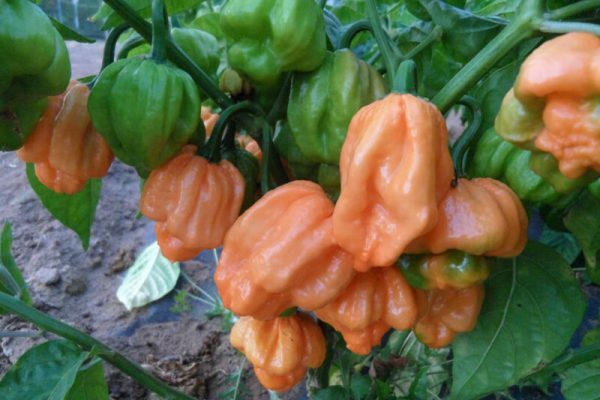 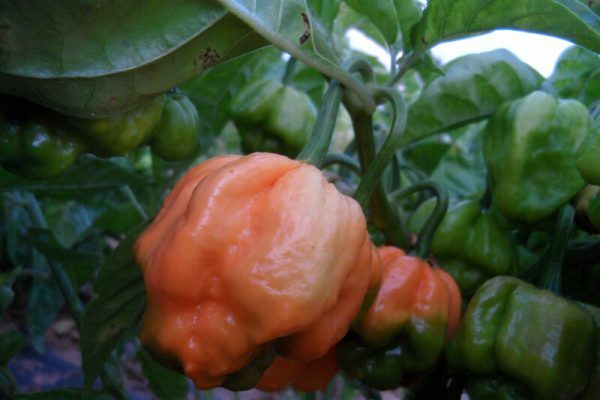 There are a few other habanero types named Goat peppers in the Caribbean but none look like this one. 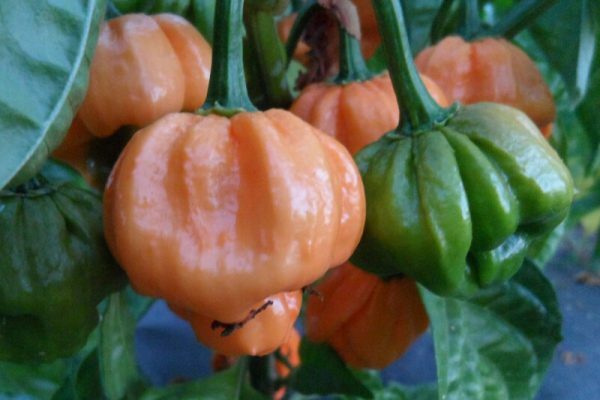 My seeds came from my friend Luigi Mauriello’s who resides in Italy. 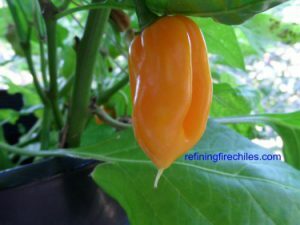 A very renowned grower and chile expert and president of one of Italy’s seed banks. 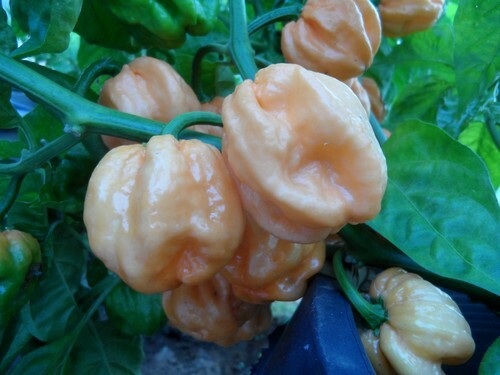 The Bahamian Goat Chile plant is very productive. 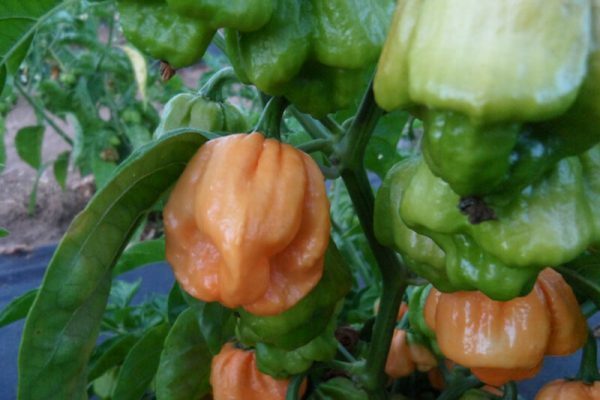 This chile plant will grow over 4 feet tall and about 3 feet wide.